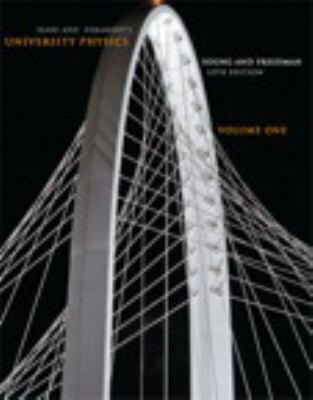 Pearson Education published University Physics with Modern Physics in 2011, and you now have an opportunity to buy the 13th edition of this text book at an affordable price. Written by Hugh D Young, Roger A Freedman and Lewis Ford, this book reveals much about physics as we know it today. You can buy University Physics with Modern Physics online in previously owned condition now, and enjoy a much lower and more affordable price by doing so. University Physics with Modern Physics used makes perfect sense, so you can enjoy saving money on your purchase and keeping more in your pocket. Young, Hugh D. is the author of 'University Physics with Modern Physics', published 2011 under ISBN 9780321675460 and ISBN 0321675460. Loading marketplace prices 9 copies from $64.18 How does the rental process work?